This great design is made up of elements spelling out birds. 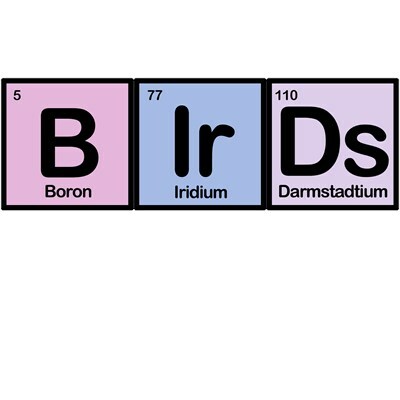 The elements are Boron, Iridium, and Darmstadtium. Show the world your passion for birds with this unique, elemental, fun design for bird-lovers! To order by phone, call toll-free at 1-877-809-1659 from Monday - Saturday 9:00am - 9:00pm EST. You'll need to note the Product Number 030-218353720 to make your order.